– 3D printing will result in the loss of more than $100 billion per year in global IP revenue by 2018. – At least seven of the world’s top 10 multichannel retailers will be using 3D printing technology to generate custom stock orders by 2018. – The rapid advancement of 3D printing for the production of living tissue and organs (“bioprinting”) will foster major ethical debates. Are predictions of the demise of IP due to 3D printing greatly exaggerated? (See VCR and Napster). Or, will 3D printing be the next “internet” – spawning innovation and whole new industries? Stay tuned. The Minnesota Court of Appeals recently added a decision to the small but growing body of law surrounding state open-records laws and copyright protection. The case is National Council on Teacher Quality v. Minnesota State Colleges & Universities. Here’s the background. National Council on Teacher Quality sent a request under the Minnesota Government Data Practices Act—Minnesota’s open-records act—for copies of course syllabi maintained by the Minnesota State Colleges and Universities, known as MnSCU (and pronounced min-skew). 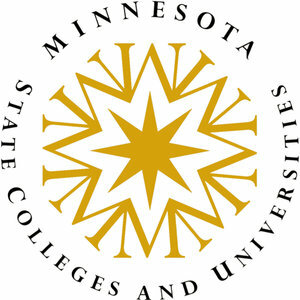 MnSCU responded, saying (1) its faculty members’ intellectual-property rights might be violated by the National Counsel’s later use of those materials, and (2) MnSCU might be subject to liability under the copyright act. National Counsel sued and won. The district court concluded that National Counsel’s proposed use was fair use under the copyright act. Because the proposed use was fair use, the copyright act was no defense to MnSCU’s failure to disclose the syllabi. MnSCU appealed and lost. MnSCU based its appellate argument primarily on its concern that copying the syllabi might expose MnSCU to copyright liability when National Counsel engages in conduct that does not constitute fair use. The court did not consider whether MnSCU’s copying of the documents itself violates the Copyright Act. The court of appeals held that once fair use is established, Minnesota’s open-records law does not allow an agency to withhold information based on a theoretical, future violation of the Copyright Act. One amicus brief raised an interesting argument, claiming that even allowing National Counsel to view the syllabi—without copying—would violate the Copyright Act. The amicus reasoned that the viewing would constitute a “public display” of the authors works and would therefore violate of the owners’ rights under the Copyright Act. The court noted neither the statute nor cases supported argument that allowing a single party to view a copyrighted work might be a “public display” that would require the copyright holder’s permission. A state agency cannot rely on the Federal Copyright Act to refuse to disclose data that is the subject of a request for disclosure under the Minnesota Government Data Practices Act after the district court determines, without dispute, that the requestor intends only “fair use” of the data as defined by the copyright act. The time to seek review from the Minnesota Supreme Court has not yet run, so this case may not yet be over. Stay tuned. This past term the Supreme Court decided McBurney v. Young, a case involving a constitutional challenge to the citizen-only restriction of Virginia’s Freedom of Information Act (FOIA). Virginia law allowed citizens of Virginia to inspect and copy all state public records, but the act did not grant non-citizens the same right. The Court had little trouble unanimously ruling that neither the Privileges and Immunities Clause nor the dormant Commerce Clause barred the citizen-only restriction. Although McBurney involved the copying of government data, it did not discuss the effects of copyright law on that copying. Copyright law governs reproduction. 17 U.S.C. § 106. State open-records laws, like Virginia’s FOIA, govern access to information—i.e, public availability. Open-records laws involve concerns regarding both access and copying, because state and municipal databases may contain information that is in the public domain and information protected by copyright. Public-domain information is information that is not covered by intellectual property rights (e.g., copyright). Black’s Law Dictionary 1265 (8th ed. 2004) (“When copyright, trademark, patent, or trade-secret rights are lost or expire, the intellectual property they had protected because part of the public domain and can be appropriated by anyone….”). It is a common misconception that if government data is publicly available then it cannot be copyrighted. Case law, however, confirms the distinction between public-domain information and publicly available information with respect to open-records laws and copyright. In County of Suffolk v. First Am. Real Estate, 261 F.3d 179, 188-90 (2nd Cir. 2001), the appellate court analyzed the interplay between copyright ownership of municipal maps and open-records laws. The court held that open-records laws do not abrogate a copyright holder’s ownership of the publicly available information. Id. at 190; accord Weisberg v. U.S. Dept. of Justice, 631 F.2d 824, 825, 828-30 (D.C. Cir. 1980) (records do not lose copyright protection simply because they become publicly available). Some courts hold that the Copyright Act “is not restricted to private parties and there is no reason to believe that such a restriction should be upheld. In fact, the opposite inference is required when only one specific governmental entity, the United States of America, is excluded from the protection of the Act.” E.g., Nat’l Conference of Bar Examiners v. Multistate Legal Studies, Inc., 495 F. Supp. 34, 35 (N.D. Ill. 1980), aff’d, 692 F.2d 478 (7th Cir. 1982). Professor Cotter’s post below on FTC v. Actavis, and his related SSRN paper both argue that the Court’s opinion all but in name adopt the presumptive-illegality approach that the decision purported to reject. Interestingly, the dissenting opinion has no mention of the presumption, favorably or unfavorably. Chief Justice Robert’s dissent—joined by Justices Scalia and Thomas—does, however, argue that the correct approach should “be to ask whether the settlement gives Solvay monopoly power beyond what the patent already gave it….” Whether the dissent is legally correct, though, reverse payments are different than ordinary settlements in at least one respect. Usually, a settling plaintiff claiming damages is paid by the defendant an amount equal to or less than the damages claimed. But in reverse-payment settlements, the money flows the opposite direction from traditional settlements: the plaintiff who claims its patent was infringed pays the defendant who allegedly infringed the patent. But simply, the alleged trespasser is paid by the property owner. This is odd. The dissent calls it “a distinction without a difference,” but I am not so sure, especially in light of the Hatch-Waxman Act’s provisions, which form the backdrop for these disputes. We look forward to moving ahead with the Actavis litigation and showing that the settlements violate antitrust law. We also are studying the Court’s decision and assessing how best to protect consumers’ interests in other pay for delay cases. Fighting anticompetitive patent settlements has been a priority for the Commission beginning under the Chairmanships of Robert Pitofsky, through Timothy J. Muris, Deborah Platt Majoras, William E. Kovacic, and culminating under the leadership of Chairman Jon Leibowitz. Vermont’s Attorney General has sued a patent holding company—MPHJ Technology Investments, LLC—for violation of the state’s consumer fraud statutes. The Vermont complaint alleges “unfair and deceptive trade practices.” The substance of the complaint asserts that one or more in a series of threatening letters was false, deceptive or misleading. Specifically, it says the letters falsely claimed to have received a “positive response,” misrepresented the treatment that most recipients gave the letter, or that the defendant did not make an adequate investigation before sending its letters threatening suit. The complaint raises a host of interesting issues, including jurisdiction, federalism and the First Amendment. These types of suits may be preempted by 28 U.S.C. § 1338, which gives federal courts exclusive jurisdiction over claims arising under the patent laws. They may be impliedly preempted too. Further, the Petition Clause may limit state’s abilities to restrict the kinds of federal claims threatened or brought by persons. This is a case to watch. Not all PAEs are bad. PAEs cause more harm than good in the net. PAEs can harm large and small companies alike. Claim uncertainty, especially in software patents, provides PAEs with an unfair bargaining power. 19th Century patent litigation problems involving agricultural equipment and railroad equipment may provide a roadmap to address issues with today’s PAEs. The report contains general recommendations to promote more straightforward, precise patents, to apply a higher burdens for novelty and non-obviousness, and to reduce patent litigation costs. The positions taken by the White House with respect to issues like Vermont’s are especially interesting because the likelihood that state-level action will be preempted may depend in large part on articulated federal goals and interests. Well, that is the opinion of Michele Boldrin and David K. Levine, two economists working for the St. Louis Federal Reserve, and long time patent antagonists. IntellectualIP has discussed Boldrin and Levine’s work twice before. (1, 2) They have recently authored a paper and a book on the subject where they advocate for abolishing the patent system. As a patent attorney, it would be easy to turn the question around and ask what good are economists? After all, they completely failed to predict the worst financial crisis since the Great Depression, and once it occurred could not agree on what to do about it. But, I guess that is beside the point. The paper, while citing a number of supporting studies (many of which are the authors own work), seems to rely largely on anecdote and unsupported conclusory statements. For example, they cite to the negative effect of patents in complex, computer-related technology as a hold-up cost to competitors by requiring developers to pay separate license fees for the countless features of mobile phones (for example). I suppose this is true – patents do make competition more costly – but without them innovation becomes a suckers game. Who is going to want to take on the burdens of innovating if the innovation instantly becomes a commodity? They then cite to what they call the “actual” “real-world” effect of patents, which is to serve as a blocking tool. Large companies like Google, they state, merely acquire patents to make it dangerous for competitors to sue them. They cite no evidence that this is the actual or dominate use of patents in the real world. Based on my experience, patents are obtained by people who are offering actual goods and services embodying the patented invention. Seriously, it is highly doubtful that blocking is the dominant use of patents, or that it does not produce a benefit (Google presumably believes the money they “waste” on obtaining patents is worth more than what they would “waste” defending lawsuits that would happen if they did not have the patents). It is self-evident that if there are no patents there would be no patent litigation, but it is also true that there would not be much incentive to innovate. Next, the authors address the information-disclosure benefit of patents. First, they state (without any support) that the usefulness of the disclosure in a modern patent to innovators is as negligible as the skills of patent attorneys can make it. Huh . . . I am not sure if that is a complement or not? Again, from my experience this is not the case. It is common for a patent attorney to forward prior art (for example art cited in an office action) to their inventor clients to have the client explain it to the attorney. This would not be the case if the disclosures were decipherable only to a patent attorney. They then state that it is usually impossible to build a functioning device from a patent disclosure, and cite to U.S. Patent no. 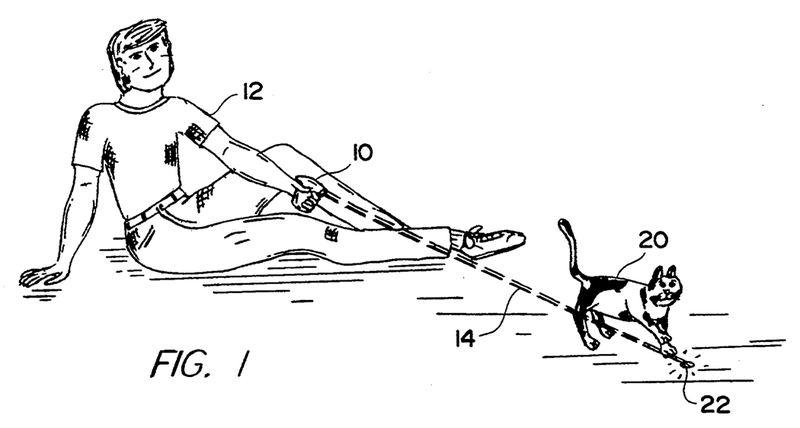 6,025,810 for support, which covers moving information through the fifth dimension – as if this one patent is a typical example of over 8,000,000 patents. I do believe that there is a point in the authors’ favor to be made here. The information disclosure benefits of the patent system are limited, but not for the reasons cited by the authors. In many cases, the information contained in patents gets in the public domain before the patent become publically available. Patents disclosures are not publically available for 18 months. If the product is in marketplace before publication, and like many products can be reverse engineered, the patent disclosure comes too late to advance the state of knowledge. Part of the problem with patents as disclosures is that until fairly recently there have not been good mechanism for the public to search and access patents. This is no longer the case with the introduction of tools like Google’s patent search feature and other patent analytical programs. We may see a greater benefit now that patents are more widely available, and can be analyzed more efficiently. Finally, they address the issue of patents as an incentive to innovate. Of course, the authors are not impressed. They refer to Apple’s success in the iPhone and iPad markets, and they attribute the delay in serious competition to Apple’s first to market advantage and not to patents. They state that “[w]hile it is hard to prove this delayed imitation also would have occurred in the complete absence of patents, intuition suggests . . . that there is little reason to assert patent rights while the first-mover advantage is still active.” Very little reason, indeed – and it has nothing to do with intuition. Apple did not have any patents to assert during the first-mover period, they were pending in the PTO, but once they did (as Samsung found out) Apple did not hesitate to assert them. Furthermore, it is reasonable to assume that part of the delay in imitation was due to the fact that Apple’s competitors certainly knew patents were coming and proceeded with more caution than they would have otherwise. The issue is not just what role do patents play in the initial success of a product – which is mitigated by the fact that patents will not issue until years after a product hits the market – but what would companies, like Apple, do if patent protection was not available at all. Would they have the same motive to invest in innovation, or would they wait to free-ride on the innovations of others? I doubt anyone can definitively answer these questions, and they raise issues well beyond the scope of economics. It is clear that patents do create both incentives for innovation as well as entry barriers. Simply abolishing the patent systems certainly has to be the wrong way to deal with this circumstance. Especially, at expense of leaving the U.S. without any protection while the rest of the world is protected. Editor’s note: This is part 4 of a 4-part series on FTC v. Actavis: How Should the Supreme Court Rule on the Legality of Pay-for-Delay Settlements of Patent Disputes Litigated in the Shadow of the Hatch-Waxman Act? This series is adapted from a document that Professor Cotter coauthored while serving on ABA-Intellectual Property Law Section Task Force last fall. See http://www.americanbar.org/content/dam/aba/administrative/intellectual_property_law/leadership/agendabook_nov2012.authcheckdam.pdf, pages 39-55. The views expressed, however, are his own, and do not represent the views of the ABA or the Task Force. In my view, the approach embodied in K-Dur strikes the right balance in terms of preserving patent incentives, on the one hand, and fulfilling the legislative mandate of the Hatch-Waxman Act and the antitrust goal of promoting competition, on the other. A rebuttable presumption of illegality rightly places the burden on the settling parties to present evidence that the settlement promotes competition. Allocating the burden of coming forward with such evidence to the settling parties makes sense, since they are likely to be better situated than anyone else to provide and substantiate such information if it exists. At the same time, a rebuttable presumption of illegality avoids the risks inherent to a per se rule, which might condemn some reverse payment agreements that threaten little or no anticompetitive harm—for example when the amount of the payment is consistent with the patent owner’s desire to avoid litigation expenses or, as suggested in K-Dur, when the payment enables a cash-starved generic firm to remain in business. Among the factors that should be relevant to the question of whether the settling parties have rebutted the presumption of illegality, the most important is the amount of consideration flowing from the brand-name to the generic firm. Where that amount is less than the amount of the patent owner’s expected litigation costs, this fact alone may be sufficient to rebut the presumption, and thus shift to the antitrust plaintiff the burden of proving that the anticompetitive harm outweighs the procompetitive benefit of the settlement. Under these circumstances, the payment may represent nothing more than a good-faith effort to avoid litigation costs; and the fact that payment flows from plaintiff to defendant may be attributable only to the unusual procedural posture of the Hatch-Waxman Act, which as noted permits patentees to file suit in advance of the defendant’s having marketed any product. See Hovenkamp et al., supra, § 15.3a1(C), at 15-47 to -49. Other relevant evidence may include the presence of other agreements between the settling parties (for example, authorizing the defendant to market an authorized generic drug, or licensing the defendant other intellectual property rights), which should be taken into account for the limited purpose of accurately estimating the value of the consideration flowing from plaintiff to defendant; whether the generic is “cash-strapped,” and therefore willing to accept a later entry date to remain in business; whether the patent owner sought, and succeeded in obtaining, a preliminary injunction against the generic manufacturer; whether the generic manufacturer agrees to waive its 180-day exclusivity, thus removing the risk of a bottleneck potentially blocking other ANDA applicants; and whether the patent in suit has withstood other validity challenges arising after the filing of the settled action. See, e.g., Carrier, supra, at 378-82; Thomas F. Cotter, Refining the “Presumptive Illegality” Approach to Settlements of Patent Disputes Involving Reverse Payments: A Commentary on Hovenkamp, Janis & Lemley, 87 Minnesota L. Rev. 1789, 1812-15 (2003). On the other hand, where the amount of consideration flowing from patent owner to generic manufacturer exceeds the generic firm’s expected profit from the sale of the generic drug in question, the inference that the patent owner is simply paying a potential competitor to exit the market is much stronger, and the presumption of illegality should be very difficult to rebut. Moreover, although it probably would not be advisable to require the factfinder to estimate the ex ante probability that the patent would have been found valid and infringed had the infringement action not been settled—a matter that courts in some of the reverse payment cases understandably have been reluctant to undertake—all that the proposed approach requires is for courts to draw appropriate inferences from the amount of the settlement in comparison to other expected costs and benefits, along with any other relevant facts and circumstances. Arguments that sometimes have convinced courts to apply the more lenient “scope of the patent” test are not persuasive. First, although settlement generally is viewed as a positive good, antitrust law is replete with examples of patent settlements that were, rightly, understood as nothing more than disguised restraints on trade. See Hovenkamp et al., supra, § 7.1a, at 7-3 (noting that “much of our legal doctrine concerning the permissible scope of licensing agreements was developed in cases in which the arrangements were undertaken in settlement of an IP dispute”). Moreover, as the FTC Reports make clear, reverse payments are not necessary to induce settlement. Most settlement agreements of pharmaceutical patent litigation do not contain reverse payment terms—although those that do contain such terms generate losses to consumers measured in the billions of dollars and therefore are a legitimate focus of antitrust scrutiny. Second, any perceived administrative ease of applying a vague “scope of the patent” standard does not outweigh the courts’ responsibility to enforce the antitrust laws. Third, while it may be possible to imagine situations in which risk aversion or asymmetric information could lead to substantial reverse payments notwithstanding an objectively high likelihood that the patent infringement action would have succeeded on the merits, scholars have doubted whether these considerations are likely to be common enough in reality to justify the countervailing anticompetitive risk. See Jeremy Bulow, The Gaming of Pharmaceutical Patents, in 4 Innovation Policy and the Economy 145, 167-68 (Adam B. Jaffe et al. eds. 2004); Elhauge & Krueger, supra. Fourth, a rebuttable presumption of invalidity does not undermine the statutory presumption of patent validity which, as the Third Circuit noted, only goes to the question of the infringement defendant’s burden of proof on the defense of validity. As noted in the Introduction, between 40 and 50% of all litigated patents are invalidated, see John R. Allison & Mark A. Lemley, Empirical Evidence on the Validity of Litigated Patents, 26 AIPLA Q.J. 185, 205-07 (1998); Elhauge & Krueger, supra, notwithstanding the statutory presumption of validity; and in any event that presumption has nothing to do with the separate question of infringement, the burden of proving which always rests with the patent owner. Finally, the effects on innovation of a rebuttable presumption of illegality are not likely to be substantial. Plaintiffs with strong patents can still exclude competition during the statutory patent term—though to the extent there is a potential conflict between innovation and competition, Hatch-Waxman clearly reflects a legislative judgment to favor generic competition. See K-Dur, 686 F.3d at 217-18; Hemphill, supra, at 1612-16. The lenient approach to reverse payments evidenced in some of the cases tends to undermine that legislative judgment. See Thomas Brom, Full Disclosure: Dealing for Dollars, California Lawyer, Oct. 2012, at 18, 19 (quoting Senator Orrin Hatch as stating “As a coauthor, I can tell you that I find these type of reverse payment collusive arrangements appalling . . . . We did not wish to encourage situations where payments were made to generic firms not to sell generic drugs and not to allow multisource generic competition.”); Sheryl Gay Stolberg & Jeff Gerth, Keeping Down the Competition: How Companies Stall Generics and Keep Themselves Healthy, N.Y. Times, July 23, 2000 (quoting Congressman Henry Waxman as stating that “The law has been turned on its head”), available at http://www.nytimes.com/2000/07/23/us/keeping-down-competition-companies-stall-generics-keep-themselves-healthy.html. In summary, in my view a rebuttable presumption of illegality makes the most sense for evaluating reverse payment settlements of patent infringement litigation conducted in the shadow of Hatch-Waxman. The approach proposed above retains the ability to settle such litigation on other terms, and would enable courts in reverse-payment cases to consider potentially mitigating factors in evaluating the legality of specific agreements. Editor’s note: This is part 3 of a 4-part series on FTC v. Actavis: How Should the Supreme Court Rule on the Legality of Pay-for-Delay Settlements of Patent Disputes Litigated in the Shadow of the Hatch-Waxman Act? This series is adapted from a document that Professor Cotter coauthored while serving on ABA-Intellectual Property Law Section Task Force last fall. See http://www.americanbar.org/content/dam/aba/administrative/intellectual_property_law/leadership/agendabook_nov2012.authcheckdam.pdf, pages 39-55. The views expressed, however, are his own, and do not represent the views of the ABA or the Task Force. The case law has reflected different perspectives on the legality of pay-for-delay agreements. Two early cases disapproved of them. In Andrx Pharmaceuticals, Inc. v. Biovail Corp. Int’l, 256 F.3d 799 (D.C. Cir. 2001), the second ANDA applicant for a generic version of Cardizem CD argued that the first ANDA applicant’s agreement with the brand-name drug manufacturer to delay entry of the generic drug violated sections 1 and 2 of the Sherman Act. Although the D.C. Circuit did not clearly articulate the level of antitrust scrutiny that would be appropriate for these types of agreements, the court reversed a district court judgment dismissing with prejudice the second ANDA applicant’s antitrust claim, stating that the settlement agreement “could reasonably be viewed as an attempt to allocate market share and preserve monopolistic conditions.” Two years later, the Sixth Circuit held the pay-for-delay agreement that was at issue in Andrx to be per se illegal. See In re Cardizem Antitrust Litigation, 332 F.3d 896 (6th Cir. 2003). One feature of the agreement in these two cases was that the brand-name manufacturer would stop making payments to the first ANDA applicant when the latter started marketing its generic drug. Until the first ANDA applicant began marketing the drug, however, no one other generic manufacturer could do so either due to the 180-day exclusivity period, resulting in a bottleneck. Other courts, however, developed more lenient standards for evaluating pay-for-delay agreements. The Eleventh Circuit, first in Valley Drug Co. v. Geneva Pharmaceuticals, Inc., 344 F.3d 1294, 1311 & n.27 (11th Cir. 2003), and again in Schering-Plough Corp. v. FTC, 402 F.3d 1056, 1065-66 (11th Cir. 2005), adopted a standard—neither a per se rule nor a traditional rule of reason approach—that purports to take into account “the extent to which antitrust liability might undermine the encouragement of innovation and disclosure, or the extent to which the patent laws prevent antitrust liability for such exclusionary effects.” Citing the benefits of settlement generally, and expressing a desire not to undermine the patent incentive, the court in both cases concluded that neither the presence nor the size of the payments flowing from the brand-name manufacturer to the generic manufacturer are necessarily indicative of anticompetitive effects. Rather, as long as the agreement is within the scope of the patent’s exclusionary potential, the agreement does not violate the antitrust laws. See Schering-Plough, 402 F.3d at 1066-76 (suggesting, however, that an agreement involving restraints on the sale of products not within the potential scope of the patent would be invalid under this approach); Valley Drug, 344 F.3d at 1308-13. Similarly, the Second Circuit in In re Tamoxifen Citrate Antitrust Litigation, 466 F.3d 187, 208-09 & n.22, 212-13 (2d Cir. 2006), held that pay-for-delay settlements are illegal only if the patentee is extending the scope of its patents or is engaging in fraud or sham litigation. The Federal Circuit followed Tamoxifen in In re Ciprofloxacin Hydrochloride Antitrust Litigation, 544 F.3d 1323 (Fed. Cir. 2009), and the Second Circuit itself reaffirmed the Tamoxifen approach in Arkansas Carpenters Health & Welfare Fund v. Bayer AG, 604 F.3d 98 (2d Cir. 2010), cert. denied, 131 S. Ct. 1606 (2011). Yet more recently, the Eleventh Circuit equated its approach in Valley Drug and Schering-Plough with that of the Second Circuit in Tamoxifen and Arkansas Carpenters, stating that “absent sham litigation or fraud in obtaining the patent, a reverse payment settlement is immune from antitrust attack so long as its anticompetitive effects fall within the scope of the exclusionary potential of the patent.” FTC v. Watson Pharmaceuticals, Inc., 677 F.3d 1298, 1312 (11th Cir. 2012), cert. granted, 133 S. Ct. 787 (2012) (No. 12-416). Further, the court rejected the FTC’s argument that an allegation that the patentee was “not likely to prevail” in the underlying litigation sufficed to avoid a motion to dismiss, asserting that its previous “decisions focus on the potential exclusionary effect of the patent, not the likely exclusionary effect,” and that “the FTC’s retrospective predict-the-likely-outcome–that never-came-approach would also impose heavy burdens on the parties and courts.” Id. at 1313-14. Taking something of an intermediate view is the Third Circuit’s decision in In re K-Dur Antitrust Litigation, 686 F.3d 197 (3d Cir. 2012), pet’n for cert. filed, 81 U.S.L.W. 3090 (Aug. 24, 2012) (No. 12-245), pet’n for cert. filed, 81 U.S.L.W. 3090 (Aug. 29, 2012) (No. 12-265), a class action involving the same two agreements that were at issue in the Eleventh Circuit’s decision in Schering-Plough. In K-Dur, the Third Circuit rejected the “scope of the patent” test, reasoning that neither the presumption of patent validity, see 35 U.S.C. § 282, which the court characterized as a “merely . . . a procedural device,” nor the judicial preference for settlement should “displace countervailing public policy objectives or . . . Congress’s determination—which is evident from the structure of the Hatch-Waxman Act and the statements in the legislative record—that litigated patent challenges are necessary to protect consumers from unjustified monopolies by name brand drug manufacturers.” Id. at 214, 217. In place of the “scope of the patent” test, the court adopted “a quick look rule of reason analysis based on the economic realities of reverse payment settlement rather than the labels applied by the settling parties.” Id. Under this approach, “the finder of fact must treat any payment from a patent holder to a generic patent challenger who agrees to delay entry into the market as prima facie evidence of an unreasonable restraint of trade, which could be rebutted by showing that the payment (1) was for a purpose other than delayed entry or (2) offers some procompetitive benefit.” Id. As for the potential rebuttal evidence, the court suggested two possibilities. First, the patent holder might be able to show that there was “no reverse payment because any money that changed hands was for something other than a delay in market entry.” Id. Second, the patent holder might be able to show “that the reverse payment offers a competitive benefit that could not have been achieved in the absence of a reverse payment,” for example where “a modest cash payment that enables a cash-starved generic manufacturer to avoid bankruptcy and begin marketing a generic drug might have an overall effect of increasing the amount of competition in the market.” Id. My own analysis follows in the next, final part of this series. Editor’s note: This is part 2 of a 4-part series on FTC v. Actavis: How Should the Supreme Court Rule on the Legality of Pay-for-Delay Settlements of Patent Disputes Litigated in the Shadow of the Hatch-Waxman Act? This series is adapted from a document that Professor Cotter coauthored while serving on ABA-Intellectual Property Law Section Task Force last fall. See http://www.americanbar.org/content/dam/aba/administrative/intellectual_property_law/leadership/agendabook_nov2012.authcheckdam.pdf, pages 39-55. The views expressed, however, are his own, and do not represent the views of the ABA or the Task Force. Among the consequences of the Hatch-Waxman statutory framework described in my previous post are the following. First, upon receiving notice of the Paragraph IV certification, the brand name manufacturer/patent owner has a powerful incentive to file a patent infringement action against the generic drug manufacturer in order to obtain the automatic 30-month stay. Second, because the patent owner’s suit occurs prior to the generic manufacturer having sold any of its generic product to the public, the patent owner is not entitled to compensatory damages, in the form of lost profits or reasonable royalties, for past harms suffered as a result of the generic manufacturer’s technical infringement; at this point in time, no such harms have yet occurred. This is quite different from the typical patent infringement lawsuit, in which the plaintiff files suit only after discovering that the defendant is making, using, or selling possibly infringing products. Third, the brand name manufacturer’s profit margin on sales of branded drugs tends to be higher than the generic manufacturer’s expected profit margin on sales of the generic drug. Economic logic suggests that, in the absence of generic competition, the brand-name manufacturer has the opportunity to derive monopoly profits from the sale of the branded drug (though subject to possible competition from other drug products that treat the same condition). Following the entry of generic competition, the brand-name manufacturer can expect, at best, to compete as a duopolist. Put another way, the brand-name manufacturer’s expected losses due to generic competition are likely to be greater than the generic manufacturer’s expected gains from selling the generic equivalent. The empirical evidence appears consistent with this analysis. See Federal Trade Commission, Pay-for-Delay: How Drug Company Pay-Offs Cost Consumers Billions 8 (2010) [hereinafter FTC Report], available at http://www.ftc.gov/os/2010/01/100112payfordelayrpt.pdf (asserting that “in a mature generic market, generic prices are, on average, 85% lower than the pre-entry branded drug price”). Fourth, if the parties settle the patent infringement suit prior to the date on which the generic manufacturer begins selling generic versions of the approved drug, the resulting settlement may take the form of a payment from the brand-name manufacturer to the generic manufacturer, in exchange for the latter’s promise not to market its generic drug until some date later than the date on which it would be entitled to market the generic drug if it prevailed at trial. This consequence is both counterintuitive and controversial. Reverse payment settlements are counterintuitive because, in the typical (non-Hatch-Waxman) patent infringement case, one would expect the defendant to pay the patent owner—and to agree either to exit the market or to license the patent in suit—in exchange for the patent owner’s agreement to dismiss the action. The unusual posture under which patent litigation takes place in the shadow of Hatch-Waxman, however, results in the patent owner potentially having much more to lose from going forward with the suit than does the infringement defendant. As noted above, if the patent owner were to lose the patent infringement suit, its lost profits would likely exceed the increased profits earned by the generic manufacturer from sales of its generic product. Alternatively, even if the patent owner were to win, victory would come only after (at least) several months of litigation, with its attendant uncertainties (and attorney’s fees). Under these circumstances, a rational response may be to settle the action on terms whereby the patent owner pays the generic manufacturer to exit the market for a period of time. At the same time, reverse payment settlements are controversial because they appear to flout the general antitrust principle that a firm may not pay its competitors to exit the market. Typically, an agreement between competitors whereby one of them agrees not to compete in a specific product or geographic market constitutes a per se violation of Sherman Act § 1. See, e.g., Palmer v. BRG, Inc., 498 U.S. 46, 49 (1990); Copperweld Corp. v. Independence Tube Corp., 467 U.S. 752, 768 (1984). Nevertheless, there are some circumstances in which a reverse payment or pay-for-delay settlement of patent litigation conducted in the shadow of Hatch-Waxman can be benign. A settlement whereby the patent owner agrees to pay the defendant some portion of the patent owner’s projected litigation expense savings resulting from avoiding trial, for example, in return for the latter’s agreement to exit the market for a period of time, probably should not give rise to antitrust liability, since the amount of consideration flowing from plaintiff to defendant is consistent with the plausibly neutral justification of merely avoiding litigation expenses. In addition, in theory a reverse payment settlement could provide a means not only for avoiding litigation costs but also for reducing other risks, such as the defendant’s potential insolvency, or could reflect the parties’ different toleration for risk or asymmetric information in evaluating the likelihood of success at trial. See, e.g., Thomas F. Cotter, Antitrust Implications of Patent Settlements Involving Reverse Payments: Defending a Rebuttable Presumption of Illegality in Light of Some Recent Scholarship, 71 Antitrust L.J. 1069, 1073-74 (2004). Nevertheless, it should be clear that reverse payment agreements also pose a substantial risk of being nothing more than an anticompetitive agreement to exclude competition. Both the FTC, which has litigated several reverse payment cases under § 5 of the FTC Act, and the Antitrust Division of the Department of Justice, which has filed briefs in some of these cases, have expressed concern that applying an overly lenient standard of antitrust scrutiny to these agreements threatens substantial harm to consumer welfare. Many of the nations’ most prominent antitrust scholars have expressed similar concerns. See, e.g., Michael A. Carrier, Innovation for the 21st Century: Harnessing the Power of Intellectual Property and Antitrust Law 370-82 (Oxford Univ. Press 2009) (arguing that reverse payment agreements should be presumptively illegal); Herbert Hovenkamp, Mark D. Janis, Mark A. Lemley & Christopher R. Leslie, IP and Antitrust § 15.3a1(C), at 15-47 to -49 (2d ed. 2010) (arguing that reverse payments should be presumptively illegal, but that the patent owner may rebut the presumption with evidence that, inter alia, the payment did not exceed expected litigation costs); Cotter, supra (arguing for presumptive illegality); Einer Elhauge & Alex Krueger, Solving the Patent Settlement Puzzle, 91 Texas L. Rev. 283 (2012) (arguing that reverse payments in excess of the patent owner’s anticipated litigation costs should be presumptively illegal); Scott Hemphill, Paying for Delay: Pharmaceutical Patent Settlement as a Regulatory Design Problem, 81 NYU L. Rev. 1553 (2006) (arguing for presumptive illegality). Indeed, a reverse payment settlement might seem particularly suspect if the consideration exceeds the amount the defendant could have expected to earn from marketing the generic drug over the relevant time period, or if the effect of the settlement is to create a bottleneck preventing other potential generic competitors from entering the market because the first applicant has not yet made use of its 180-date period of exclusivity. Although amendments to the Hatch-Waxman Act enacted in 2003 were intended to prevent such “parking” of the 180-day period, it does not appear that those amendments eliminated the bottleneck problem altogether. See Scott Hemphill, An Aggregate Approach to Antitrust: Using New Data and Rulemaking to Preserve Drug Competition, 109 Colum. L. Rev. 629, 660-61 (2009). More recently, a 2010 FTC Report estimated that, based on settlements filed with the FTC pursuant to terms of the 2003 Medicare Modernization Act, “[a]greements with compensation from the brand to the generic on average prohibit generic entry for nearly 17 months longer than agreements without payments,” and that “[p]ay-for-delay settlements . . . cost American consumers $3.5 billion per year—$35 billion over the next ten years.” FTC Report, supra, at 2. The case law on the legality of these payments varies, a topic covered in the next installment. Editor’s note: This is part 1 of a 4-part series on FTC v. Actavis: How Should the Supreme Court Rule on the Legality of Pay-for-Delay Settlements of Patent Disputes Litigated in the Shadow of the Hatch-Waxman Act? This series is adapted from a document that Professor Cotter coauthored while serving on ABA-Intellectual Property Law Section Task Force last fall. See http://www.americanbar.org/content/dam/aba/administrative/intellectual_property_law/leadership/agendabook_nov2012.authcheckdam.pdf, pages 39-55. The views expressed, however, are his own, and do not represent the views of the ABA or the Task Force. One of Congress’s principal goals in enacting the Hatch-Waxman Act in 1984 was to speed up the entry of generic drugs into the marketplace. In recent years, however, the structure of the Act has encouraged brand-name drug companies that own patents on FDA-approved drugs to settle patent infringement actions against generic drug companies seeking to market generic copies of brand-name drugs, pursuant to terms by which the brand-name drug company—the patent infringement plaintiff—pays the generic drug company—the infringement defendant—in exchange for the latter’s agreement not to market the generic drug until some date later than the date on which it would have been able to market the drug, had it prevailed in litigation. These “reverse payment” or “pay for delay” agreements have generated a variety of responses among the courts, the enforcement agencies, and antitrust scholars and commentators. In December 2012, the Supreme Court granted a petition for certioriari in one such case sub nomine Federal Trade Commission v. Actavis. On March 25, 2013, the Court will hear oral argument on the question of whether “reverse-payment agreements are per se lawful unless the underlying patent litigation was a sham or the patent was obtained by fraud (as the court below held), or instead are presumptively anticompetitive and unlawful (as the Third Circuit has held).” This blog series presents an overview of the “reverse payment” or “pay for delay” phenomenon, and argues that the Court should hold such agreements subject to a rebuttable presumption of illegality. To speed up generic entry, the Hatch-Waxman Act permits a company that wishes to market a generic version of an approved drug to submit an Abbreviated New Drug Application (ANDA) demonstrating that its generic drug is bioequivalent to the approved drug. The ANDA applicant may rely upon the clinical testing conducted by the NDA applicant to prove that the drug is safe and effective, without having to conduct its own round of tests. See 35 U.S.C. § 355(j)(2)(A). In addition, however, the ANDA applicant must certify that the generic drug will not infringe any valid patents covering the approved drug. If there is an existing patent covering the approved drug listed in the Orange Book, the generic manufacturer files a “Paragraph IV” certification asserting that the patent is invalid or would not be infringed by the generic bioequivalent at issue. See id. § 355(j)(2)(A)(vii)(IV). The generic manufacturer must notify the patent owner of the Paragraph IV filing. See id. § 355(j)(2)(B). Under these circumstances, although the generic manufacturer has yet to make, use, or sell the generic drug for commercial purposes, § 271(e)(2)(A) of the Patent Act authorizes the patent owner to file suit for infringement for what is sometimes referred to as the generic manufacturer’s “technical infringement.” See 35 U.S.C. § 271(e)(2)(A). Significantly, if the patent owner files suit within 45 days of receipt of the notice, the FDA may not approve the generic drug for marketing for 30 months from the receipt of notice, unless the patent expires first or the litigation terminates. See id. § 355(j)(5)(B)(iii). In addition, once the FDA approves an ANDA, the first ANDA applicant is entitled to 180 days of exclusive rights to market the generic version of the approved drug. See id. § 355(j)(5)(B)(iv). The ANDA process has led to reverse payments, discussed in the next installment.